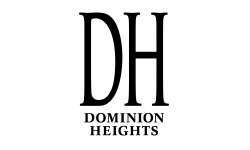 ENHANCE YOUR LIVING at Dominion Heights where you will find your perfect 1, 2 or 3-bedroom apartment for rent in Fresno, CA. Every apartment features granite counter tops, stainless steel appliances, white cabinetry, brushed nickel fixtures, vaulted ceilings, USB charger outlets, amazing park views and full size washers and dryers. We are located in the Clovis School District, the best schools Fresno has to offer. Your new home is walking distance to the best restaurants and shopping boutiques that the Dominion neighborhood has to offer. Relax on a luxurious chaise lounge next to our brand new resort style pool or sip lemonade under our stunning fireside loggia. Enjoy our state of the art fitness center or treat yourself to our complementary cappuccino bar. Plus, our Bark Park will satisfy your most discriminating pet.